MySpace to Integrate Facebook Connect? Although the condition of MySpace is not as dire as many are making it out to be, its clear that the once king of the social networks is wearing a tarnished crown (or now crown at all) as the popularity of its arch rival Facebook continues to grow. This has prompted NewsCorp, the owners of MySpace, to assign a new CEO to the fledging social network as well as come up with some innovative ways to build up support once more for the social network. According to The Telegraph, part of the plan is to integrate Facebook connect with MySpace which would allow users of MySpace to share content via both social networks. 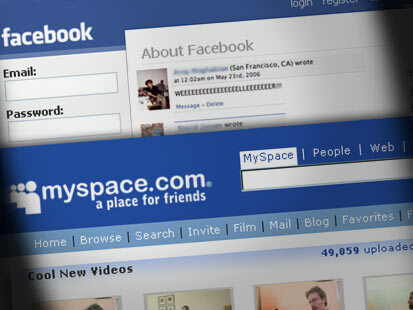 Sherl Sandberg, COO of Facebook, has told The Telegraph that “MySpace could become a Facebook Connect partner – which would allow people to share content they liked from MySpace with their Facebook network.” MySpace’s new CEO has also confirmed this which leads us to the question of whether this is a good move or not? On one hand it could be risky and yet on another it could help both companies. One thing that helped me switch from MySpace to Facebook was the Blackberry Facebook app. Unfortunately, when I bought my first Blackberry, MySpace hadn’t developed an app for the platform yet. Since all my updates and everything came straight to my phone and moving up the age ladder so to speak, Facebook has become a major social networking medium for the age groups above 35. So being able to connect multiple accounts is great, only question is if this will help Facebook or MySpace in the end? That will be interesting. I think it might actually pan out well for Myspace to do that. Its kind of like Google recognizing there are other search engines and lists some results of them.